Saturday Night @ Hacienda El Mirador: Presenting, The David Reyes Tequila Experience! Live, from Peoria, Illinois, it’s Saturday Night Live starring this week’s host, Haciena El Mirador and presenting the David Reyes Tequila Experience with special guest stars, Paul Wann, Juan Madrigal and the owners of Hacienda El Mirador Julia and Lucas with an appearance from Susi! And now, please buckle up your seat belts for this very special Saturday Night and get ready for The David Reyes Tequila Experience! 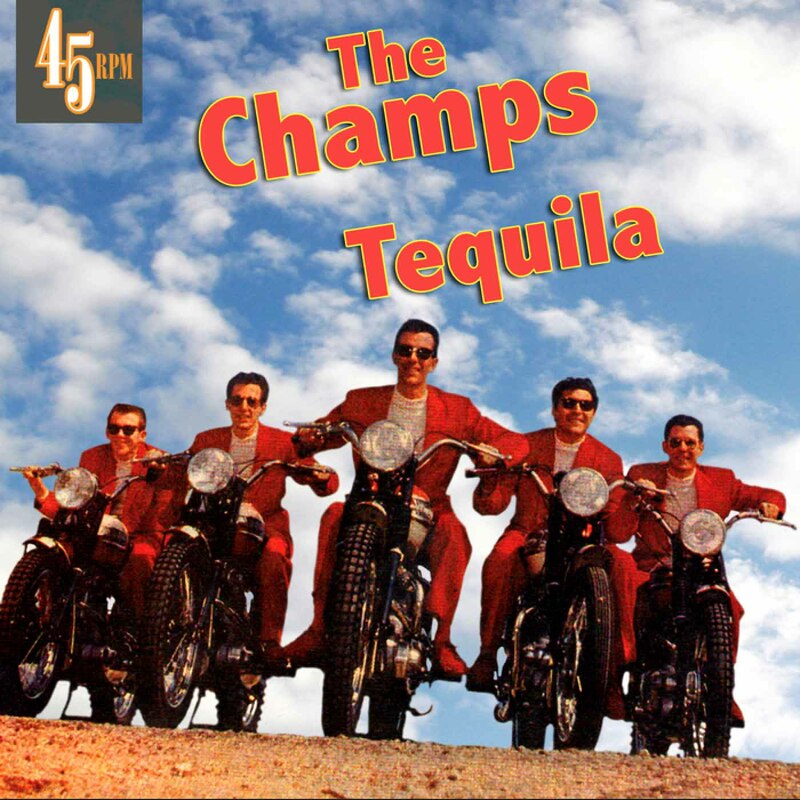 Tonight is a special tequila edition of Saturday Night and the party is being hosted at one of my favorite restaurants in Peoria, Hacienda El Mirador in Junction City. There’s the main dining room and there’s another off to the side. But tonight, all the action happens inside the bar, which is right behind this arched entrance. 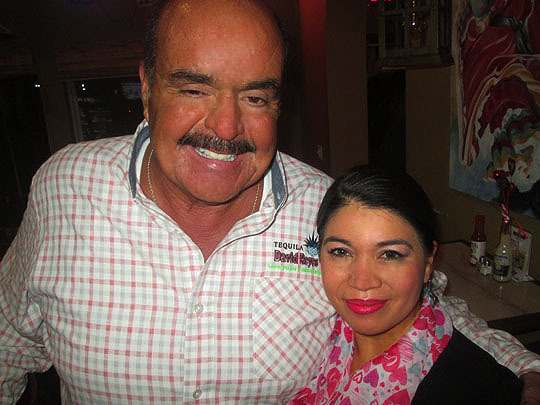 Here’s the Tequila Master and host of tonight’s party, David Reyes with the co-owner of Hacienda El Mirador, Julia. David’s story is one of Peoria’s most unique success stories ever. David was born in Peoria and ended up working at Fleming Potter and that’s where I met him. We both worked at Fleming Potter throughout the 80’s and in the early ‘90’s, both of us left Fleming Potter and Peoria. I moved to New York and David moved to Mexico. David had an industrial accident and at his mother’s suggestion he went to her family’s farm in Jalisco, Mexico for rest and rehabilitation. It was during this time that David had the inspiration to take the acerage and dediciate it to growing agave for tequila production. He then began a learning experience spanning over decades that led him to understanding every aspect of growing, harvesting, distilling and bottling his own quality and superior, Private Label Reserve Tequila: Tequila David Reyes. David brought his team with him for tonight’s tequila tasting. On the left is Paul Wann owner of Wann Imports, LLC which handles the nationwide distribution of Tequila David Reyes. Locally, Tequila David Reyes is available at Mt. Hawley Country Club, Jim’s Bistro, Unum in Morton, Last Chance and of course at Hacienda El Mirador. On the right is Juan Madrigal, David’s personal bodyguard and marketing specialist. All three are fun and charming and fun gentlemen and I knew we were in for a festive and special evening after meeting them! David explained to me that he wants to revolutionize the way people drink tequila. His formula he personally put together through the years for Tequila David Reyes has produced a unique tequila that is a tasty “sipping” tequila that you can enjoy through an evening with food as opposed to a quick shot that most people equate with drinking tequila. I have to admit that before the evening began, I wondered if I’d enjoy a tequila tasting. 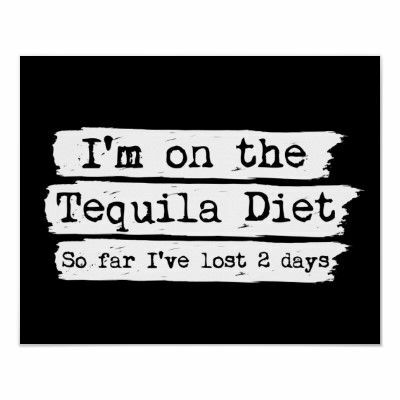 I had a bad experience, like many of us have had with tequila, which involved too many shots of it and resulted in a horrific hangover that always came back to me when someone bought me a shot of tequila. While Juan documented tonight’s tequila sampling David and Paul explained that Tequila David Reyes is not your father’s tequila, it’s a brand new taste and tequila experience that begins when you look at it in the bottle and in the glass. It’s bright, pure and pristine from the superior distilling process overseen by David. David said he is involved in every step of the process from the ground to the bottle. After gazing at it, the next step is to take the glass and smell the aroma. The smell is unique due to the quality of the home-grown agave that is grown on David’s acreage in Mexico. It’s a smooth, pleasant and slightly floral aroma that is far more inviting than any other tequila I’ve ever smelt. Then it’s time to drink it. David keeps it on ice and adds ice to the glass for a cold sipping experience rather than quickly downing a shot. I have to admit I wondered if I would enjoy an evening of drinking tequila, but this is a totally different tequila experience. David said he envisions his tequila as the new wine because you can enjoy it with food throughout an entire evening. Tequila David Reyes is smooth as silk and is soft and creamy to the palate. David and Paul told me to lightly swish it around in my mouth before swallowing and it was a delicious combination of a slightly sweet flavor with a hint of savory pepper at the end. After a lime to cleanse the palate, Paul poured me a shot of another brand of tequila to compare and the difference was amazing! It was like drinking gasoline after the superior and tasty Tequila David Reyes! Another lime and we were back to sipping Tequila David Reyes. David told me that the key to his tequila is his home-grown agave which is grown without any chemicals and is as close to organic agave as you can get. He has spent decades perfecting his personal formula which spans from the ground to the distillation process which he personally oversees and directs every batch. This started out as a tequila he gave to family and friends and has grown to a nationwide product which is going global soon. This is a unique Peoria success story and cheers to David! Now it’s time to eat! Part of The David Reyes Tequila Experience is enjoying the drink with an evening of fine food. The food here at Hacienda El Mirador is the perfect pairing for the palate with Tequila David Reyes. Lucas, who owns Hacienda with his wife Julia started us off with a bowl of freshly made salsa and warm and crispy tortilla chips. This was so tasty with a nice hint of spice and heat. A perfect appetizer to wash down with tasty ice-cold Tequila David Reyes! There’s Julia waving from behind the bar looking pretty as always! Lucas and his crew prepared so much food I could hardly keep up with it! All of it was so delicious and flavorful but the highlight for me was this large plate of a Mexican dish called, Alambre. I’ve never had this and it was a tasty mix of steak, chicken, bacon, cheese, onions and peppers. It was unbelievable and was a true delight when you enjoy it while washing it down with Tequila David Reyes! After we enjoyed the massive amounts of food that Lucas and his crew prepared we took turns writing on the wall as a tribute to the evening. This was such a fun evening! There’s Lucas with Susi who’s on the wait staff here at Hacienda El Mirador. Julia took an iced bottle of Tequila David Reyes and poured a glass for everyone at the end of the night. Cheers and thanks to David Reyes for putting this wonderful evening and tequila experience together, it was a blast and it was wonderful to hear David’s successful story that goes from Fleming Potter in Peoria to Tequila Master in Mexico! And thanks to Julia and Lucas, Julia and the crew at Hacienda El Mirador for the delicious food and for hosting this fun and tasty evening! Related Posts: Saturday Night @: Cheese Nuts Brick Oven Pizzeria in Junction City, Casa Amigos Mexican Restaurant and Paparazzi. Bonus: The 1800th Wombacher Sour @ Shannon’s Going Away Party @ Tannins & Hops! I’m honored to have a drink named after me at Peoria’s only genuine speakeasy, Tannins & Hops. It’s called the Wombacher Sour and you can read all about it here. I’m proud to say that the Wombacher Sour has become the best selling drink at Tannins & Hops and last week, owner Bryan Harlan informed me that they were getting close to selling the 1800th Wombacher Sour and wondered if I’d like to do something special in honor of this. He chose this number for a celebration in honor of the repeal of the 18th amendment. 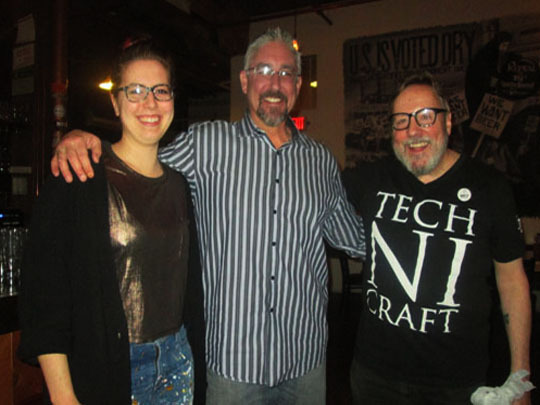 Well, the timing for this was perfect, because my friends, John and De Ingles from Smiley Grafix were having a going away party for their daughter, Shannon yesterday at Tannins & Hops! This is a photo of Shannon, De and John from a 2014 MBIP post taken at Michael’s Italian Feast in Germantown Hills. This was a fun night because I hadn’t seen Shannon since John and De took a trip to New York City in 1993 when I first moved there and they brought Shannon who was just nine months old back then. While strolling around I asked a homeless man if he’d babysit Shannon while we walked around, much to De’s horror! I hadn’t seen her since then, so it was crazy to see her all grown up! I asked Bryan if he could stop selling the Wombacher Sour last week when they hit number 1799, so Shannon could have the 1800th Wombacher sour at her going away party yesterday and he said that he’d happily make that happen, so let’s go back to yesterday and see Shannon enjoying the 1800th Wombacher Sour! Here we are at Tannins & Hops, now let’s get inside, it’s freezing out here! Tannins & Hops are usually closed on Sundays, but they opened up special for Shannon’s going away party which was very nice! Shannon’s moving to Wisconsin, by the way! That’s Shannon on the left with Tannins & Hops owner, Bryan Harlan in the center and Yours Fooly on the left representing Technicraft! Speaking of Technicraft, they have a brand new website, check it out here! Bryan and everyone at Tannins & Hops gave Shannon a $100 gift certificate and two bottles that have the key ingredients for a Wombacher Sour, so she can make them in Wisconsin! Nice! Here’s bartender Nick mixing up the 1800th and 1801 Wombacher Sours for Shannon and I! Then I presented her with a t-shirt I made that says: “My Other Parent Is A Homeless Man In New York City,” in honor of the first time we ever met! As you can see, she loved it! Good luck in Wisconsin, Shannon, hope to see you on a return trip to Peoria soon! Thanks again to Bryan Harlan and Tannins & Hops for making this happen!